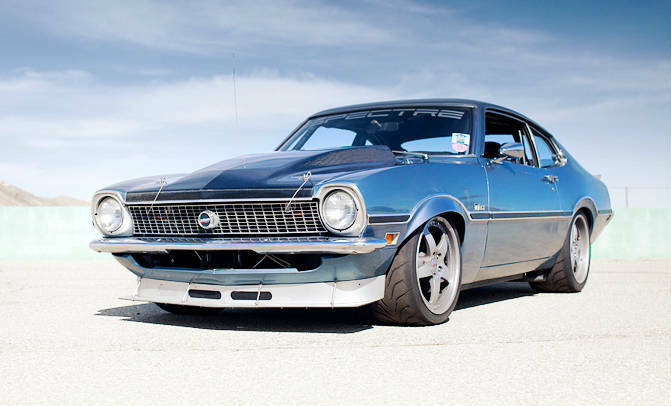 The 2JZ Ford Maverick Car by Lance Peltier! Must See! We are all well aware of the fact that Internet has opened a lot of new windows to our worlds. With one click you can get a century old book, you can virtually visit Zimbabwe, for example and you can get information on everything you are interested in. That is also the case with the automotive market. The Internet has also brought fans of automobiles closer. Today we are going to present such vehicle that has brought people together and that crossed all virtual limits. We are going to talk about the 1970 Ford Maverick Car. Lance Peltier has built the vehicle for Spectre Performance. Some time ago to have crossover engine swamps was a kind of odd. Today, it is a common practice. 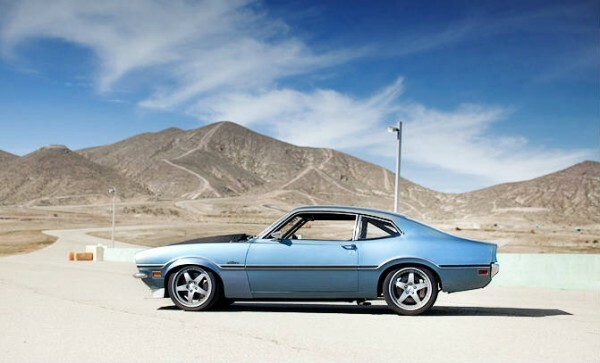 This 1970 Ford Maverick car for example first featured a Ford Maverick motor which has been replaced by a Japanese 2JZ GTE engine taken from a 1995 Toyota Aristo. The turbocharger was also replaced. Now, this car features a Drift Effect 67 MM Turbocharger with Toyota 550CC. Other performance components such as pressure plate and new exhaust system were incorporated in the car. Check out this amazing article on one of the best 1970 Ford Maverick limited editions on this link! The interior was also completely changed. First of all the seats were completely removed so that a new Momo “Competition” steering wheel can be placed as well as new Momo Street Racer GT bucket. A roll cage was also installed. Performance Fabrication was responsible for redecorating the interior. In the process of remake, the company included a lot of aluminum as main material. Autometer Ultra Lite II gauges were also installed. As for the suspension, it has been replaced with Rod and Custom Motorsports Mustang II front end. According to the description, this vehicle may seem as aggressive muscle car without any coziness included, but that is absolutely not true. The car features a AM/FM radio and air-conditioning system. When talking about tires, this vehicle features a Toyo Proxes R88 tires. When you think about the fact that this American car has a Japanese engine, you admire it because it has a small world in it due to the fact that it consists of parts from everywhere. Just like the internet. However, the car`s elements are not what really matters. What really matters is actually how this vehicle makes you feel. If you are feeling good, then Ford Maverick Car is the one.